We are en route to Panama from French Polynesia, heading backward against the prevailing winds and current. Just 840 nautical miles remain on this passage that began almost 4,000 nautical miles ago, off Raiatea. A strangely familiar bird is circling Cochise, our recently launched FPB 78. Here, so far from land, it is difficult to fathom that this could be an osprey — a raptor so concerned with efficiency that it carries its prey aligned with the direction of travel to reduce drag. You might say the sight is a metaphor for this voyage. Cochise is the first in a new series of FPBs (Functional Power Boats) and was launched just four months ago in New Zealand. She, too, is far from home and proving that she’s able to do more, with beauty and ease, than you might think. Initial sea trials went well, with few of the gremlins normally associated with a new yacht, let alone the first yacht in a series. Barely six weeks after splashing, we have put 225 hours on the 230-hp John Deere diesels. Mother Nature has cooperated with a rapidly building 40-knot, gusting-to-50 blow, giving us steep, confused seas to test the stabilizers and steering. It’s midwinter in New Zealand, so we have not yet been able to test air conditioning, fridges and the solar panel array’s ability to deal with the associated loads at anchor. The answer to this problem is 1,100 miles north, in Fiji, so when a break in the weather appears — it has a been a wet, windy winter — we quickly prepare to put to sea. Five days later, we are anchored off Lautoka, preparing to clear in with Fijian customs. The plan is to spend a couple of weeks in Fiji and then return to New Zealand to deal with the inevitable punch list. But things are going so smoothly we begin to entertain thoughts of an early return to the States. We are basketball fans — OK, fanatics — and begin to think about holding on to our tickets for a promising Arizona Wildcats 2016-17 season. 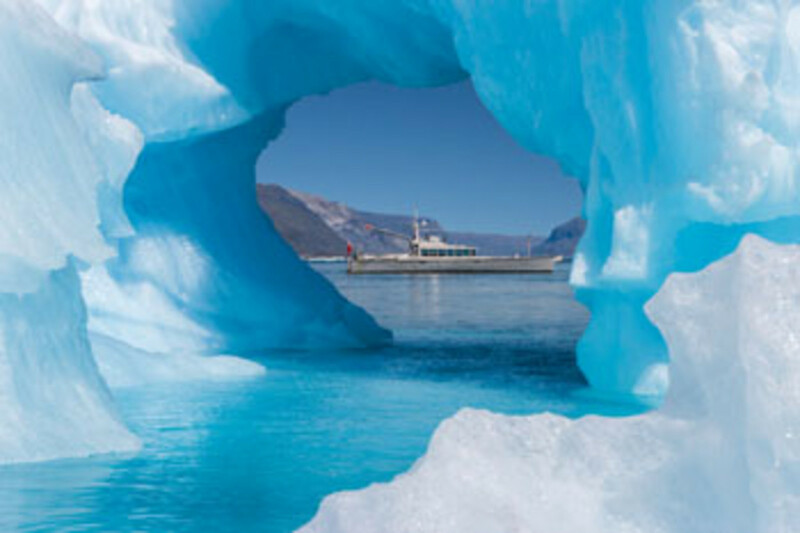 We are also ice junkies: We love the high latitudes and have a strong urge to have another look at Greenland in the not-too-distant future. 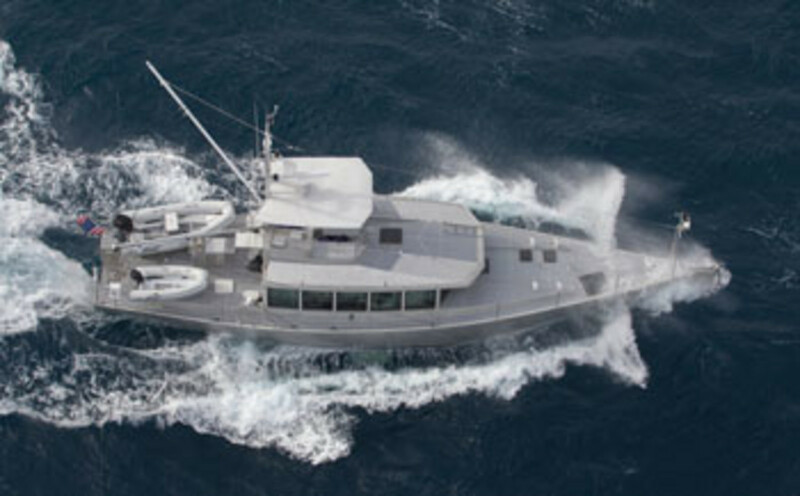 Cochise’s 5,000 gallons of diesel in integral hull tanks will easily handle the long legs associated with a trip back to the East Coast of the United States. Coincidentally, weatherwise, the time of year is perfect. We would be heading east in the tropical South Pacific ahead of the Southern Hemisphere cyclone season, and would arrive in Panama at the end of the Caribbean hurricane season. The only issue is the concept of going backward, against the trade winds, and the comfort (or lack thereof) associated with such foolishness. However, this is exactly what Cochise is designed to do: head into the wind comfortably and efficiently to give us more latitude in deciding where we want to go. Although the 8,000 miles between us and Florida might seem like a lot, we enjoy long passages as long as we are comfortable. We have always preferred to transit on our own, deriving much satisfaction from working as a team. But advancing maturity and pressure from the children have started us thinking about taking a third hand. Cochise is designed so that everyone can have their own space, and the projected series of long passages would give us a chance to put the interior layout to the test. 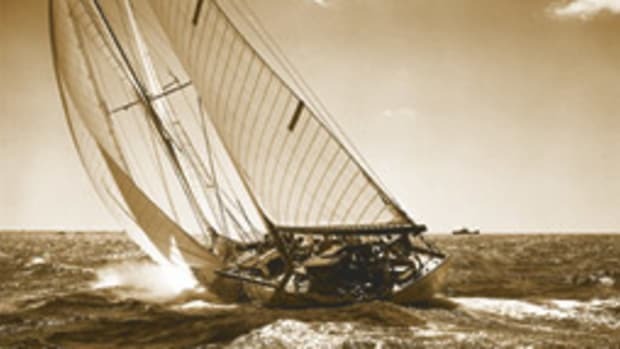 Steve Parsons, a professional sailor who ran an FPB 64, had been available in New Zealand for the workup on Cochise and had accompanied us to Fiji. 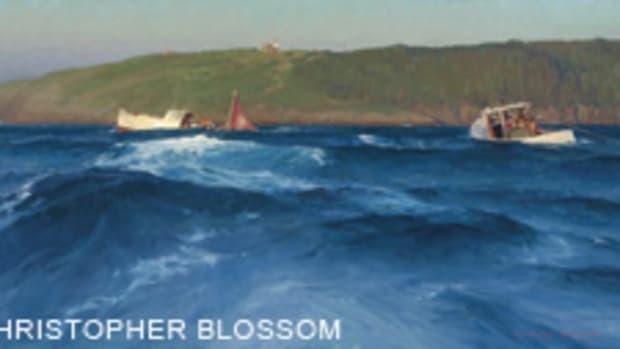 When I add his background of commercial work in the Southern Ocean, we see eye to eye on the proper approach to seamanship, and he is enthusiastic about the projected voyage. We start watching the weather patterns toward the east, and running additional fuel burn tests with varying speeds, states of trim and accessory loads on the engines. Cochise has 10 340-watt solar panels that produce as much as 20 kilowatt-hours of energy a day, and we are finding their contribution to fuel efficiency substantial. We stock up on food, top off the tanks in Denarau and, on October 8, set Cochise on her way toward Raiatea. Two thousand nautical miles and eight days later, we are working our way through the reefs of Raiatea, toward the anchorage off the bustling village of Uturoa. When you travel on a small yacht, you get to deal with bureaucratic paper pushing. The French have this down to an art form. They are thorough, and there is a stack of paper, but the process goes quickly. Four days after arrival in Uturoa, with our diesel tanks filled with duty-free fuel, we are off. The leg to Panama is right at 4,700 nautical miles. We budget for 5,200, to account for the west-going current that will slow our forward progress, and calculate a speed that allows initially for a 20 percent reserve. We can adjust mileage up or down by varying boat speed. Working our way east through the Tuamotu Islands is a reminder of how much cruising has changed since our first westbound voyage 40 years ago. 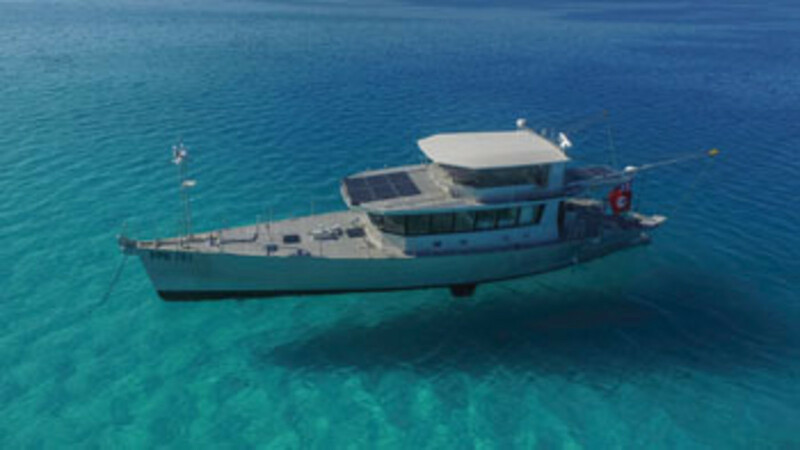 In those days, navigation was by sextant, the paper charts were rough approximations, and it wasn’t uncommon to have several yachts park themselves on the barrier reefs of these low-lying atolls each season. Now we have continuous position fixing with accuracy measured in a few meters, a reliable radar and forward- looking sonar to warn of danger. Add reasonably accurate charts that we can confirm with Google Earth, and this part of the world becomes a lot more user-friendly. 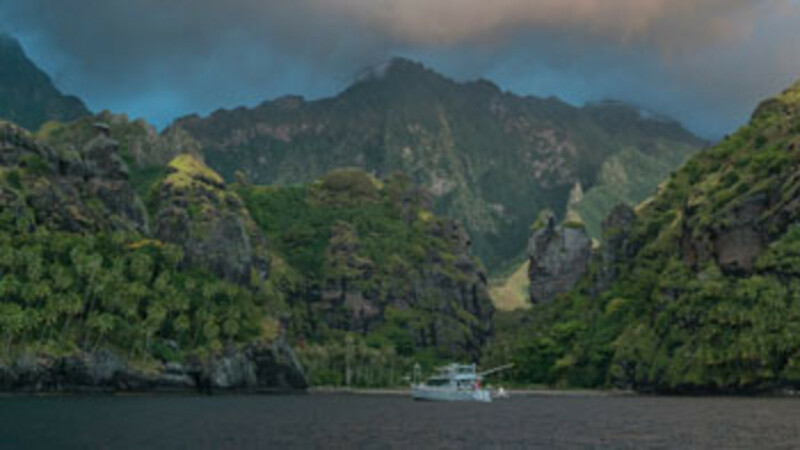 Our route to Panama takes us within a few hours of the most beautiful anchorage on this planet, on Fatu Hiva in the Marquesas Islands. A quick stop would allow us to check the engine room, and to once again consume the most delectable of all tropical fruit, the Marquesan pamplemousse. We send an email to port control in Papeete advising them of our intentions — we’d previously cleared for Panama direct — and alter our course to the northwest. Hana Vave Bay on Fatu Hiva is one of those places you visit and then, years later, wonder whether it really could have been that beautiful. On this, our third visit, we confirm again that it is, indeed, the fairest bay of them all. As we depart, the sea gods signal their approval, delivering a 5-foot, 40-pound wahoo followed by a second wahoo and an even larger mahi-mahi. We have been at sea now for 12 days. Winds have varied from 6 to 25 knots on the nose, with currents between ½ and 2 knots against us, and through it all we have been comfortable. During the day, the solar array is covering the majority of electrical needs. The third person aboard has allowed us the luxury of three hours on watch, six hours off at night. We do not keep a formal watch during the day. The three of us are up, reading, checking the engine room, looking out for ships and sometimes just doing nothing, letting our minds wander, taking a rest from the overstimulation of modern shoreside life. We’ve reached the point on this voyage where we could go on forever. And the osprey? It makes three aborted landing attempts on our forward mast, then switches attention to our big booms aft. We stand watching on the port wing of the Matrix deck — a conning area that is comfortable for watchkeeping at sea and efficient when maneuvering in close, and provides a second living area ideal for sleeping grandkids and overflow guests. The osprey circles twice, then dives at the boom end. Flaring its wings at the last possible moment, it sticks the landing, talons firmly grasping the topping lift. Day 16 begins with intense squalls, nearby cloud-to-sea lightning strikes and a stream of shipping traffic coming and going from the Panama Canal. The 10,000th mile has just clicked over on the Simrad GPS odometer. Although none of us is ready for our passage to end, we call Flamenco on the VHF radio and advise them of our arrival. Two hours later we are secured in the marina. Cochise has averaged exactly 10 knots between Raiatea and Panama. We have burned an average of 8.67 gallons per nautical mile for propulsion, electrical and hydraulic requirements, despite the headwinds and adverse currents. Aside from changing the engine oil and giving the exterior a high-pressure freshwater rinse, there is nothing to do. It’s time to start making plans for the last leg to Fort Lauderdale, Florida. After all, we don’t want to miss the start of league play in Pac-12 basketball. Steve Dashew’s FPB long-range cruising powerboats can claim the 78-foot sailboat Beowulf as their mother. 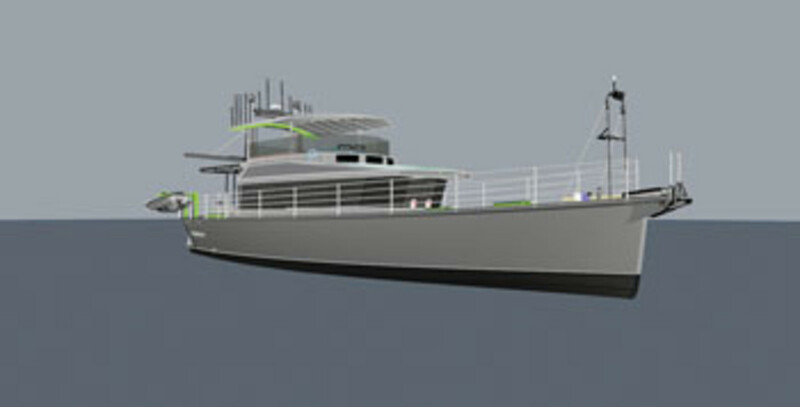 Dashew designed this slim ketch in the late 1990s. Kelly Archer Boatbuilding in Auckland, New Zealand, built her of aluminum, which Dashew left unfinished to reduce maintenance. 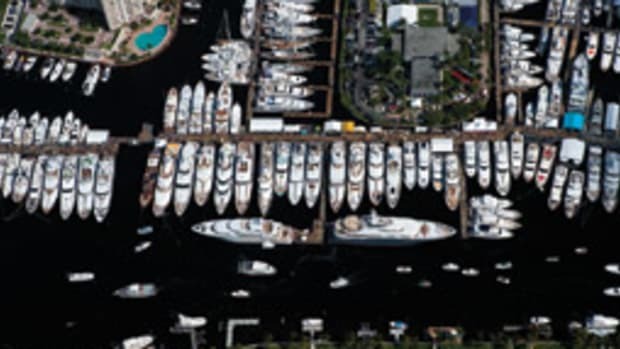 Bare marine-grade aluminum protects itself with a layer of oxide that forms over time. The painter, in this case, is Mother Nature. Beowulf is the last — and the pinnacle — of Dashew’s sailboat designs, and she is his favorite. 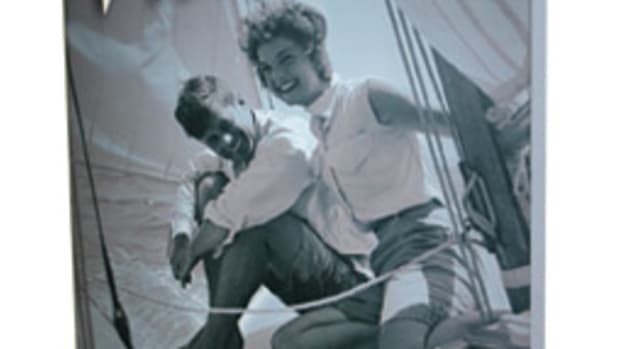 She benefited from all the lessons he learned designing and building the series of relatively narrow, lightweight, easily handled fiberglass sailboats marketed under the Deerfoot and Sundeer names. Dashew’s goal for these designs was safe, comfortable, efficient and reliable long-distance voyaging. The FPB (Functional Power Boat) line shares these goals. 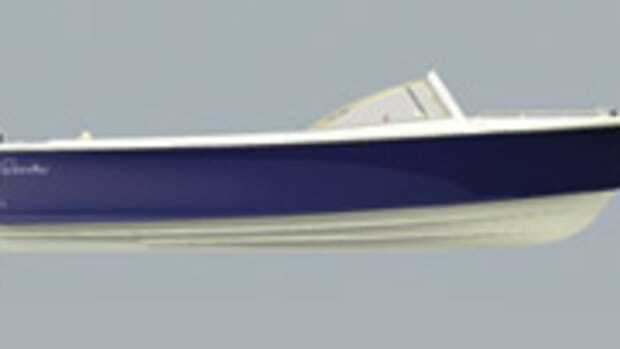 Each FPB model — see the entire fleet at setsail.com — is able to maintain high average speeds because they are lightweight and have a long waterline and narrow beam. Double-digit averages allow the boats to outrun foul weather, take advantage of favorable winds and seas, and open a variety of destination options. A fine entry punches through big head seas, and narrow stern sections ease the lift caused by following seas, which reduces pitching. Maximum beam is near amidships. Most of the interior volume lives in the middle third of the overall length, leaving the ends almost empty, which also helps with pitching. 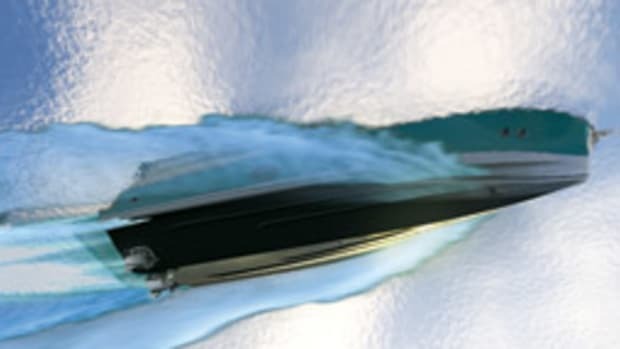 The bottom tucks up just abaft the skegs, allowing water to clear the transom with minimal turbulence. Carefully distributed volume below the waterline lets FPBs run cleanly from a walking pace to maximum speed. Active stabilizers and flopper-stoppers dampen roll. Wind Horse, the 83-foot prototype FPB, caught everyone by surprise when she launched in 2005. Traditionalists had difficulty accepting the oxidized aluminum finish, the no-nonsense upright styling and narrow beam. 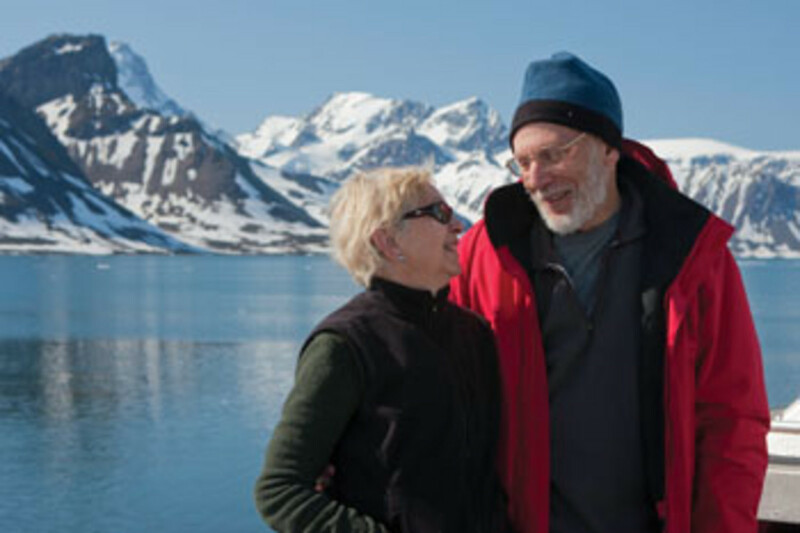 Over time, Dashew and his wife, Linda, proved the value of Wind Horse’s characteristics by cruising about 25,000 miles in 17 months, racking up a total of more than 50,000 miles. One of her most endearing, and enduring, features is the great room, a large open space on the main deck extending from the afterdeck to the helm. The 64, launched in 2010, may have been Dashew’s greatest challenge. She has an 18-foot shorter waterline than Wind Horse, but Dashew wanted her efficiently to carry comparable payload over a similar range while delivering most of the FPB 83’s positive attributes. To achieve the interior volume he wanted, Dashew drew the FPB 64 a bit fatter for her length. He spent a lot of time refining the waterlines to reach the speed and economy that characterizes the larger models. Her balanced lines and large rudders provide positive control in heavy weather. All other design tradeoffs were geared toward maximum comfort at sea. Her 130-degree minimum range of positive stability (measured with half fuel in one tank and full freshwater tanks) is a remarkable safety factor. Designed in 2015, the FPB 70 is the little sister to the 97 and 78, but Dashew gave her many characteristics of the larger models. A little more displacement and freeboard allowed him to raise the great room’s sole 20 inches above the top of the tanks, compared to previous FPBs. The center of the lowest deck (called the “basement”) has 60 inches of headroom, and the walkways outboard have 70 inches. Her great room has more floor space than Wind Horse, and the galley is identical to the FPB 64’s. Outward-canted windows pull your view outside. Hull No. 1 is under construction. The fourth model in the series reaped the rewards of experience. The galley, breakfast bar, saloon, theater and one of the two helms are in the most comfortable part of the hull — over the longitudinal center of buoyancy. During short-handed passages, this great-room layout brings everyone together for companionship and ease of communication. Owners who prefer leaving the generator turned off should appreciate the 10 340-watt solar panels, which can provide enough power at anchor for the 24-volt DC loads and a portion of the air conditioning. A passive airflow system, comprising naturally pressurized flow from a series of inlets on the underside of the forward roof overhang and front of the upper deck coaming, keeps temperatures in the great room comfortable. The FPB 97 is perhaps the biggest model that owners can handle without professional crewmembers. She’s big enough to be happy in heavy weather, and the substantial reserve buoyancy in the topsides and superstructure allows her to self-right. Despite her relatively narrow beam, an overall length of 110 feet provides a lot of stowage for spares, emergency gear and the supplies you’d need for marathon cruising. Her systems permit easy access and maintenance. As with other FPB models, flopper-stopper booms allow the crew to safely launch and retrieve the dinghy, even in a rolling anchorage. Length buys a lot of advantages, the greatest of which is speed. Imagine cruising 5,000 miles at 14 knots. Also, a yacht of this size doesn’t give up as high a percentage of interior volume as the shorter FPBs do. 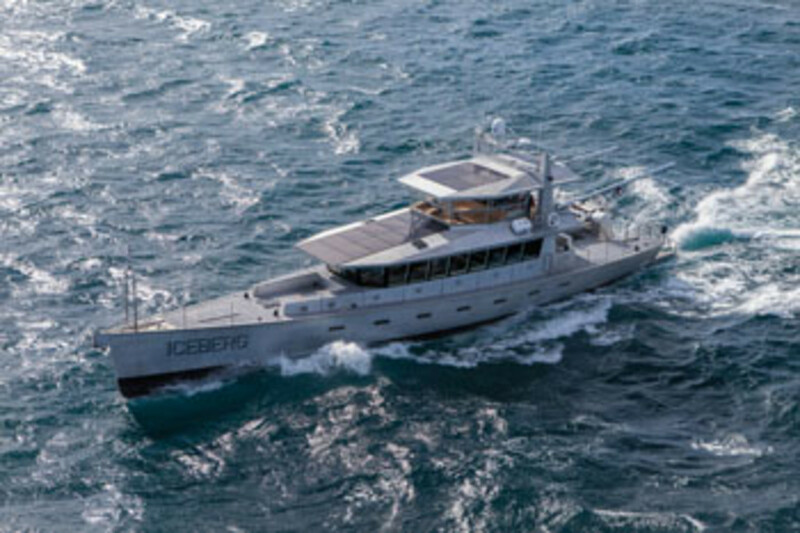 The FPB 130 has ice-class hull strength, capsize resistance and recovery (much like a rescue craft), a 20-kW solar array, and hyper-efficient heating, cooling and ventilation. Her fine lines and 5.7 beam/length ratio promise a comfortable ride crossing oceans. This model has yet to be built.